Moses Kolo, Kaduna: Residents of Sambang Dagi in Jaba Local Government of Kaduna State witnessed another earth tremor in the early hours of Monday. The News Agency of Nigeria (NAN) reports that the incident occurred barely 24-hours after the first tremor was reported at Nok village about 20km away from Sambang. NAN reports that the residents were thrown into state of shock when the incident took them unaware around 4 a.m. Details of damages or any lose of live was still sketchy as at the time of filling this report. Earlier, the Kaduna State government had in a press statement, urged residents of the affected communities to remain calm. The statement said the state government had made a formal report to the appropriate authorities to investigate the development and report on the event for appropriate guidance. The government had on Sunday after the first incident said in a statement signed by Samuel Aruwan, Special Assistant to the Governor on Media and Publicity, that it had made a formal report to the appropriate authorities to investigate the development. The statement noted that Gov. 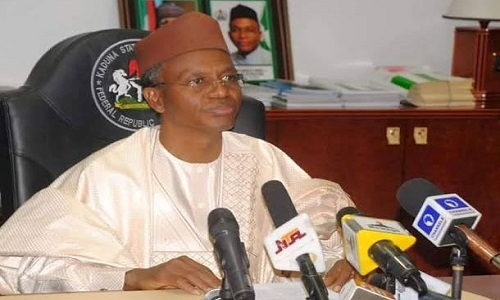 Nasir El-Rufai, has notified the geological and emergency agencies of the incident. It also noted that the Kaduna State Government is receiving updates from the area and relevant government agencies have been directed to take steps to comfort the residents and to assuage their unease as they come to terms with an unusual event. The Kaduna State Government through the statement appealed for calm, and urges everyone not to spread unverified information, or create panic.